R.L. Scott was born in America, raised in Salvador Bahia Brazil until the age of 16 and then returned to the states. He began studying martial arts at the age of 7, writing at the age of 16 and one year later, made his first short film. 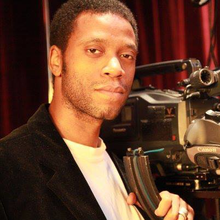 In 1998, He graduated from College with a degree in film production and has been involved in over fifty shorts and feature films in many capacities including writing, directing, fight choreography, cinematography, post production work, and editing. In 2007 R.L. wrote, directed, choreographed, and produced an early feature film version of &quot;Champion Road&quot;, which is now available worldwide on DVD. A year later, he completed &quot;Champion Road: Arena&quot; its sequel, also released on DVD worldwide in mid 2012. In 2011 R.L. created the hit online series &quot;Touye Pwen&quot; which quickly found an audience and garnered a great deal of attention for it's creator. Late 2012, R.L. wrote, directed, produced and choreographed the action scenes for the feature film entitled &quot;Call Me King&quot;... a concept based on his previous online series (Touye Pwen) starring international superstar Bai Ling (Red Corner), Chris Mulkey (Boardwalk Empire), Alimi Ballard (Numbers), Lester Speight (Transformers Trilogy), Robert Miano (Donnie Brasco), Bill Cobbs (Oz: The great and Powerful), Del Zamora (True Blood), Gabrielle Dennis (The Game, Monyque Thompson Scott (Lie to Me)and Amin Joseph (The Expendables) who is also one of the film's key producers. &quot;Call Me King&quot; is scheduled to be released early 2014. In early 2012, R.L. also acted as one of three cinematographers for the historic dance inspired short film &quot;The Hotel&quot;... starring, directed and produced by Darrin Dewitt Henson (Soul Food). &quot;The Hotel&quot; also stars legendary dance Icons Adolfo &quot;Shabba-Doo&quot; Quinones (Breakin), Michael &quot;Boogaloo Shrimp&quot; Chambers (Breakin), actress Vanessa Williams (New Jack City) and a host of others. In summer of 2014, R.L. collaborated with &quot;TV One&quot; on the horror movie &quot;The Mirror.&quot; It airs October 2014 nationally, was directed by R.L. Scott... and stars accomplished actors &quot;Harry Lennix,&quot; &quot;Victoria Rowell,&quot; &quot;Richard Gant&quot; and showcases extraordinary talent like &quot;Davetta Sherwood&quot; and &quot;Aida Rodriguez.&quot; It also marks the movie debut of Model turned actress &quot;Karrueche Tran.&quot; R.L. also acted as the movie's fight choreographer for the chilling finale. Steven Soderbergh, David Fincher, Steven Spielberg, Aaron Sorkin. Sci Fi, Action, Foreign, Art House, Horror. Sha Po Lang, Old Boy, The Man from Nowhere, A Bittersweet Life, I saw the Devil. R.L. has not liked any films yet.